In an exclusive interview with TOLOnews on Monday, US Special Representative for Afghanistan Reconciliation Zalmay Khalilzad said the integration of a strong and unified negotiating team under Afghan government’s umbrella is needed for achieving a breakthrough in the strides for peace in Afghanistan, but rejected rumors that the talks had hit a deadlock. In response to a question about progress on the intra-Afghan dialogue and ceasefire, Khalilzad said he did not have direct contacts with the Taliban since his last meeting with them in Doha, Qatar, last month, and that the Taliban delegation said at the time that they will talk about these issues with their leadership. The Taliban has persistently rejected the call to engage in direct talks with the Afghan government. Khalilzad called on Afghans to put aside their differences and unite for peace. However, he blamed the group and their supporters for the ongoing war and bloodshed in the country. “The Taliban and their supporters so far have refused to talk with the legitimate Afghan government and reach on an agreement for finding a solution to the problem if the Taliban are really serious about peace. The Taliban say that they want peace and I am confident that yes the Taliban wants peace. But the issue is what kind of peace? Because it needs unity, consensus, and agreement between Afghans, inside and outside the government, including the Taliban. It can be counted as progress if the Afghans come together and reach on a political agreement on a roadmap for ending the war,” said the envoy, when asked whether the Taliban is serious about peace. This comes a week after President Ashraf Ghani called for a grand consultative Jirga, a traditional assembly, on the peace process in the country. Ghani said the Jirga will be convened within a month. Khalilzad, who is trying to facilitate direct talks between the Afghan government and the Taliban – said there is a need for a “strong national team” under the Afghan government’s umbrella. The US envoy said his message to the Afghan government and Afghan elders is that “the time has reached that they sit together and agree on a team” in order to prevent a repeat of another Moscow talks. Khalilzad said Khalilzad the US is not against “a positive role” of Russia and other countries in the Afghan peace process, adding that it would be better if a national team, representing Afghanistan, will attend a possible next round of talks in Moscow. According to him, the Moscow talks will be a positive step if they result in forming a "national team" -- for peace. 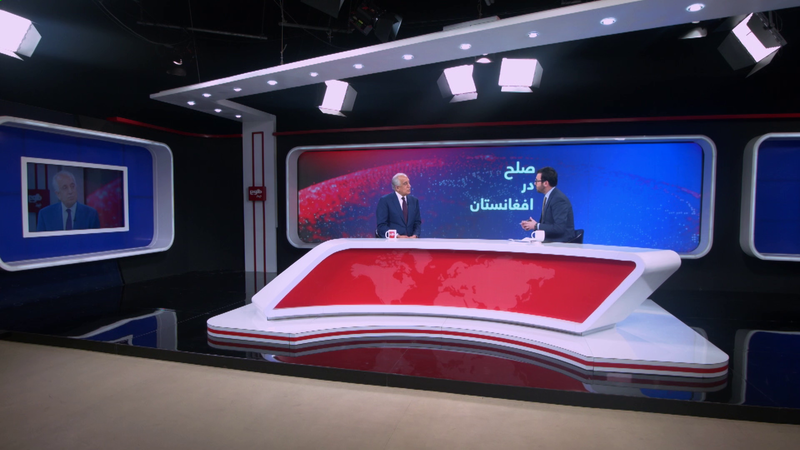 Khalilzad said that he had productive meetings with President Ghani and politicians in Kabul, but he refused to give the details of the meeting as mentioned that the details were “private”. The US envoy said that he is holding talks with four circles which include the Afghan government, the Afghan politicians, the regional countries, and the Taliban. Does the Taliban Want to Seize Power? According to Khalilzad, Taliban has realized that their previous government had failed like the Mujahideen government as well as the communist government. However, the US envoy said he had not held discussions with the Taliban about the future government and power-sharing issues. “It is up to Afghans to reach an agreement about this issue and for a political settlement. It is Afghans’ internal issue but we are ready to facilitate the process,” he added. 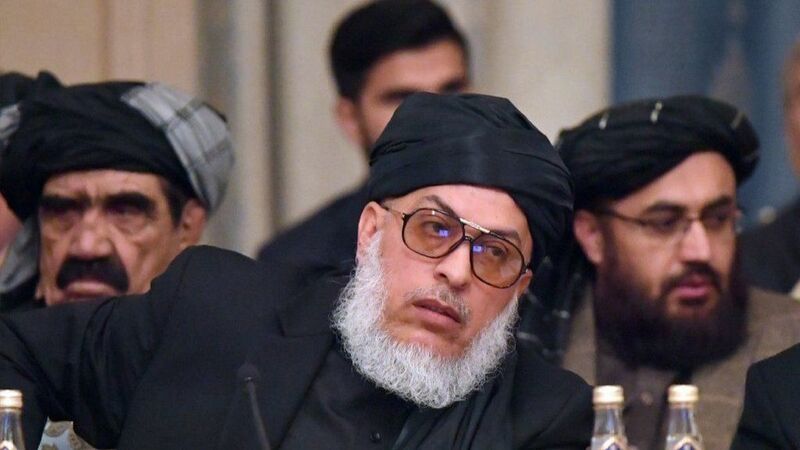 Last week, the Taliban announced the formation of a 14-member peace negotiating team ahead of a fresh round of peace talks with the US envoy in Doha, Qatar, later this month. Among the 14-member team is Mohammad Anas Haqqani, brother of Sirajuddin Haqqani and member of Haqqani network who is currently in the detention of the Afghan government. Khalilzad said that he does not have any specific idea about Anas Haqqani and that it a mutual issue between the Afghan government and the Taliban. Khalilzad said it will be significant progress if the Taliban, who were once fighting alongside al-Qaeda, will agree not to allow any international terrorist outfit or individual to use Afghanistan’s territory against the US or any other country. He added that the US will never compromise on its interests. Khalilzad said that an agreement between the Afghan government and the Taliban can ensure a sustainable peace. He said that his trip to Pakistan was cancelled over some logistical and political reasons. “It was agreed that it would be better if the next meeting is held in Doha,” he said, adding that it is good that a meeting was not held between the Taliban and the Pakistani prime minister. On Pakistan’s intention for peace in Afghanistan, Khalilzad said there have been developments in US-Pakistan ties and that he wants to see practical steps in this respect. “Practical steps by Pakistan is crucial towards restoring peace in Afghanistan,” he added. According to Khalilzad, Saudi Arabia has an important role in Pakistan’s engagement in the Afghan peace process. “Saudi Arabia has an important role regarding Pakistan. Qatar has also a role, but the role of Pakistan is more important than Qatar because Saudi has had historic relations with Pakistan and it can provide more support to Pakistan. In my discussions with Saudi crown prince, we encouraged the Saudi officials to provide assistance to Pakistan on condition that Pakistan helps in ending the war in Afghanistan and I hope that Saudi crown prince conveys this message to the Pakistanis during his trip to Pakistan,” Khalilzad said. This comes a day after Saudi Crown Prince Mohammad Bin Salman travelled to Pakistan where he sealed agreements worth $20 billion with Islamabad. Zalmay Khalilzad calls on Afghans to put aside their differences and unite for peace.